The Steve Jobs biopic jOBS, starring Ashton Kutcher as the iconic Apple co-founder, will hit theaters for a wide release on April 19th of this year, the same month as the company’s 37th anniversary. The film is making its worldwide premiere this week as the closing night film of the Sundance Film Festival on Jan. 25th and today, Open Road Films made the announcement of the theatrical release date. The April 19th release date means this film will have to compete with Joseph Kosinski sci-fi thriller Oblivion starring Tom Cruise. If I had to guess, Cruise will own the box office that weekend, but jOBS definitely has the potential to do quite well. The biopic, written by Matthew Whitely, chronicles Jobs’ journey from college dropout to one of the most influential men of our time, showing many of the important moments of his life between 1971 and 2001. Word is that the filmmakers strove for absolute authenticity, so much so that part of the film was even shot in the historic Palo Alto garage where Jobs set up shop. The press release announcing the release date calls the movie a “dialogue-driven story” that will be an epic and personal portrayal of Jobs’ life. The film is directed by Joshua Michael Stern and also stars Dermot Mulroney, Josh Gad, Lukas Haas, J.K. Simmons and Matthew Modine. 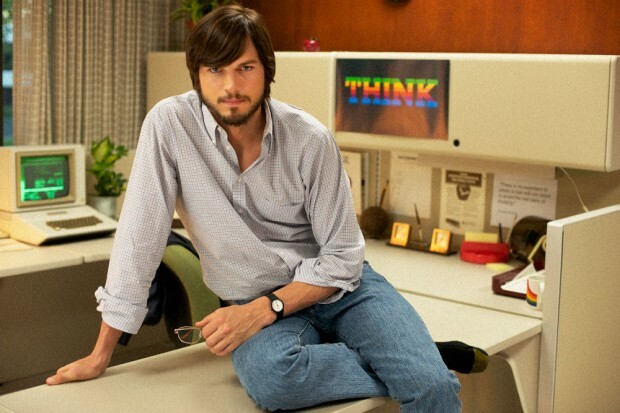 While Kutcher may be slightly more handsome than Jobs (okay, slightly is the understatement of the day), I’m impressed by how much he resembles the tech icon in the images we’ve seen and I’m quite excited to see Kutcher in this role. Now that the release date has been announced, we’ll likely be seeing the first trailer soon, so be sure to check back for that. What do you think of this spring release date for jOBS? Are you excited to see Kutcher in the role? Share your thoughts in the comment section below.